"Brothers in arms and drugs: Miami Molly ring faces trial"
"PBSO pays Glades woman $122,000 for beating by deputy"
"Government cannot retry criminal case in deportation proceedings"
"When Congress said ‘Fair Sentencing,’ it meant fair sentencing"
"Has Bush Gone Too Far? The President's secret Directive to let the NSA snoop without warrants sets of a furor." 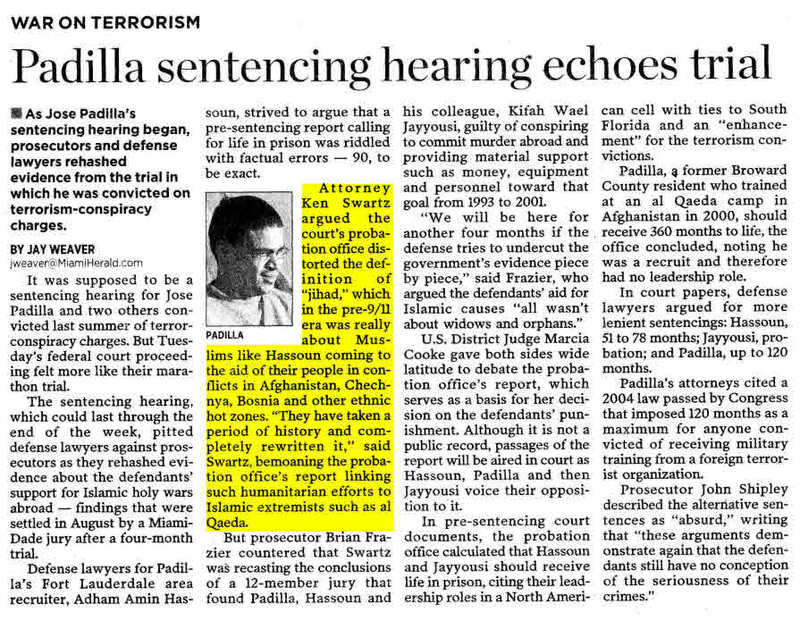 "Padilla is guilty on all charges in Terror Trial." 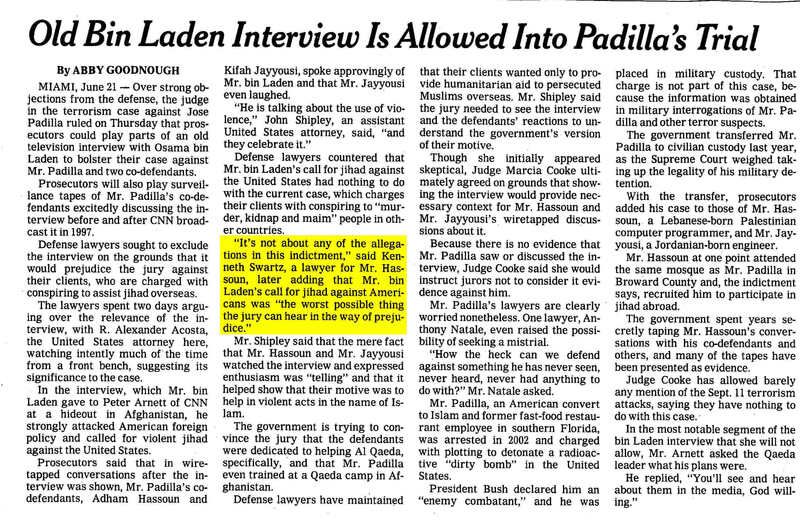 "Old Bin Laden Interview is allowed into Padilla's trial." "Handling of interrogation recordings leads to a defense request in Padilla Case." 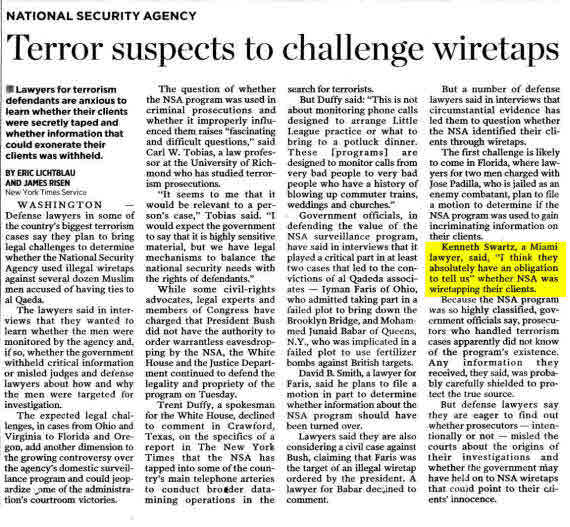 "Defense lawyers plan challenges over spy efforts." 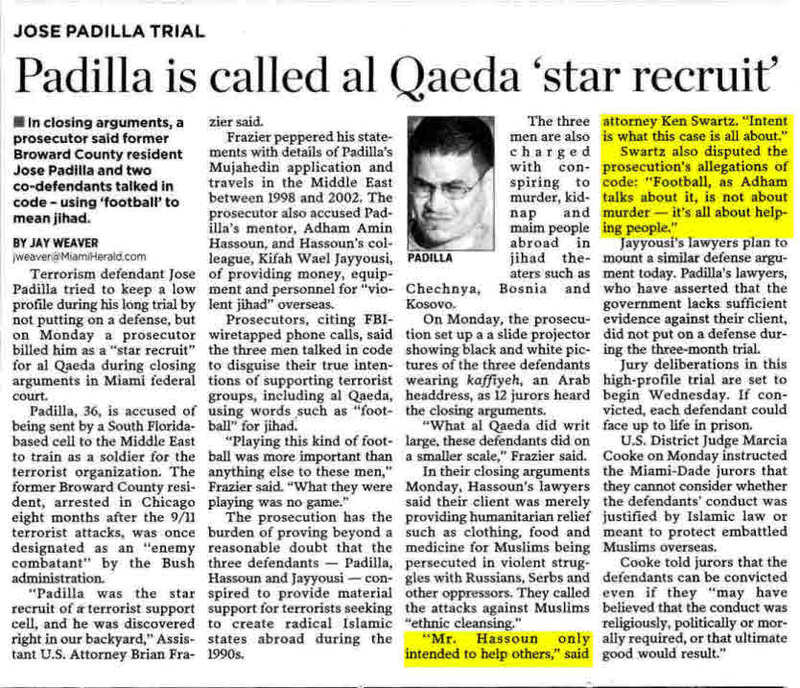 "Jose Padilla Co-defendant asks for CIA documents"
"Padilla Sentencing hearing echoes trial"
"Padilla is called al Qaeda 'star recruit.'" "Terrorism trial heads into final stages." 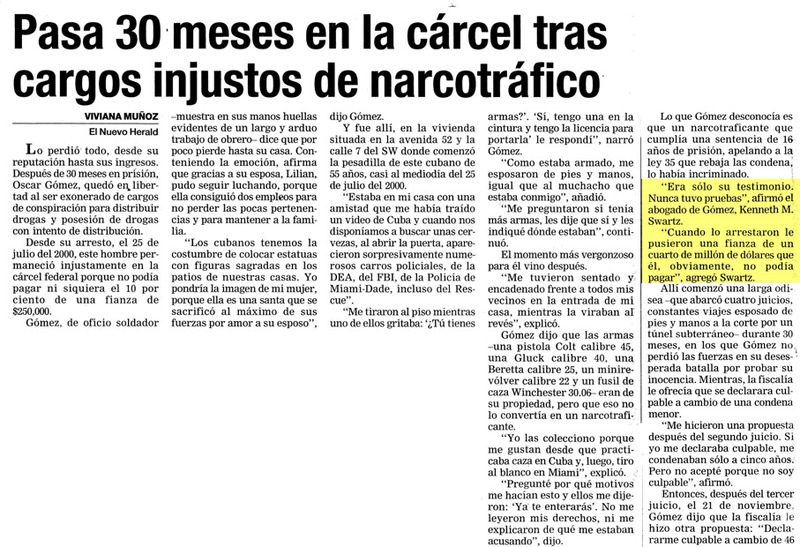 "Terror suspects to challenge wiretaps"
"Pasa 30 meses en la carcel tras cargos injustos de narcotrafico"
"Sunrise terror suspect wants gag order off"